City Tap House is one of the city’s most popular food-and-beer destinations. The original is located on the second level of The Radian just steps from the campuses of the University of Pennsylvania and Drexel University. 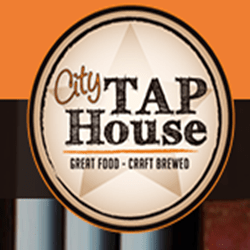 City Tap House Logan Square is located just off the city’s iconic Benjamin Franklin Parkway. Located in the heart of Philadelphia's business district, a short walk from local attractions, including the Comcast Center, Franklin Institute, Academy of Natural Sciences and the Philadelphia Museum of Art – City Tap House Logan Square is Philadelphia's go-to gastropub destination for rare, exclusive craft beers and elevated American pub fare. Interested in hosting a private event for your office, friends, or family? 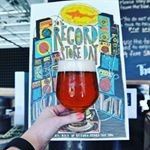 City Tap House proudly offers a one-of-a-kind private event space; perfect your next private happy hour or holiday event. Our main bar area is the ideal setting for a casual happy hour or seated lunch or dinner while our two private bars offer an intimate, warm space for any occasion. Our team can even work with you to customize a menu for your private event, intimate cocktail party, or birthday party. We got your back! Share a stack of pancakes with Santa Claus himself at City Tap House University City's Brunch with Santa this Sunday, Dec 3, featuring an afternoon of family friendly fun with Kris Kringle — beers and mimosas for mom and dad, a build-your-own-santa-pancake station for the kids, and a holiday brunch buffet for all. From 11am—3pm, families can enjoy a special brunch buffet ($25/adult; $12/kids 12 & under) including French Toast, Pastry Trays, Hangover Pizza, Egg, Bacon, Sausage, and more! While mom and dad sip on a beer or mimosa, the kids will enjoy a build-your-own-santa-pancake station. 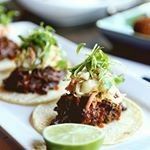 Philadelphia National Taco Day - Let’s taco ‘bout where to find the best tacos in Philly in celebration of National Taco Day October 4th. Philadelphians can enjoy the traditional Mexican dish all day long at Cafe Ynez, MilkBoy, and City Tap House to name a few.